Use The Form To Calculate The Savings! How Do You Currently Heat Your Business?Please choose one. Years With A CLEAN BURN®Slide to See How Much You Can Save! *Please Note: Heating values are based on U.S. Energy Information Administration energy prices using 140,000 BTU equivalent calculations. This value is an estimation and may fluctuate based upon changing fuel-source prices; we cannot guarantee the accuracy of this calculator. "I'm saving about $8,000 to $10,000 per year on my heat bills. That's close to $40,000 in the four years since I bought my Clean Burn furnaces." "I knew burning my used-oil was a good idea. Gingerich Clean Burn replaced my furnaces with two Clean Burn units and I couldn't be happier." "We are saving $25,000 to $30,000 per year by heating our fixed operations with our Clean Burn furnaces." "I am happy with our Clean Burn furnaces and would recommend them to anyone. Gingerich Clean Burn did a great job." 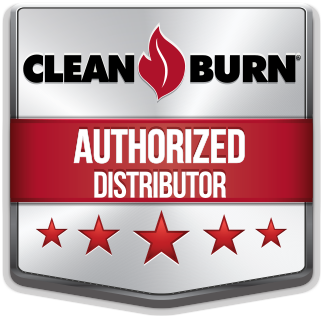 As the leader in waste oil furnaces and boilers Clean Burn also offers the best warranty in the industry. ©Gingerich Clean Burn. All rights reserved worldwide. I consent to Gingerich Clean Burn collecting my details through this form.